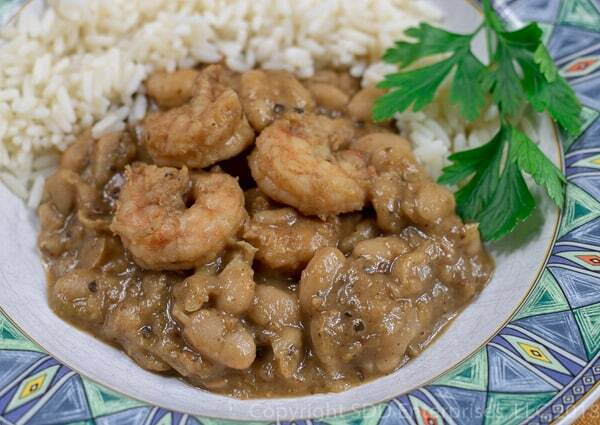 This is Cajun comfort food at it's best! 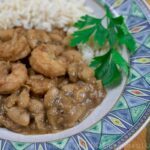 Creamy, mellow flavored White Beans simmered in a rich stock with Cajun/Creole seasonings and succulent, tasty Gulf Shrimp. Serve over cooked rice with some crispy french bread and a green salad and you have a seriously comforting treat from the Bayou. Peel, clean and rinse shrimp. Pat dry with a paper towel and combine with some creole seasoning and set aside. Chop and measure all other ingredients and set aside until needed. Starting in a cold dutch oven, saute the bacon until most of the fat is rendered. Leaving bacon in the dutch oven, turn down the heat and add the onions, bell peppers and celery. Saute slowly until starting to brown and caramelize, about 6 minutes. Turn up the heat and add the garlic and about ⅔ of the Herb and Seasoning Blend. Stir for 2 to 3 minutes until aromatic. Add the beans (after draining) and stir well to coat all the beans with the bacon grease, trinity and spices. Saute about 4 or 5 minutes. Add a little stock to deglaze the dutch oven (if needed), scraping up all the browned goodness on the bottom. Add the remaining stock and the liquid crab boil (see Notes); bring to a full boil, reduce heat to a heavy simmer and continue uncovered for about 5 minutes while all the flavors begin to come together. Lower heat to a simmer, cover pot and cook for about 2 to 3 hours, stirring occasionally so it does not stick. At about the 2-hour mark, start testing the beans to see if they are getting tender. Remove the cover intermittently if the beans need to thicken once they are soft. Once the beans are soft, taste for seasoning. Add the remaining Herb and Spice Blend and about 2 teaspoons of salt. The shrimp will absorb some salt so it's OK to be a little salty at this point. Add the shrimp by hand, a few at a time, and mix in thoroughly. Keeping the beans on a slow simmer, cover the pot and simmer for about 10 to 15 minutes. Remove from heat and let sit covered for about 5 minutes. Taste again for salt and add more if desired. Remove the bay leaves and serve over long grain rice. The beans will soften quicker if they are soaked prior to cooking. According to Camellia Beans, there are three easy ways to do this. I usually use the one-hour quick method. Read about them here. Liquid Crab Boil is a liquid seasoning Zatarain's and used in boiling seafood in Louisiana. It is concentrated and very potent, so resist the urge to use more than called for until you taste the beans. I have ruined dished before by using a little too much Liquid Crab Boil. It's a unique flavor and cannot be easily duplicated. You can buy some here. Substitute some cayenne pepper to taste if you can't get the Crab Boil, you'll miss the distinct flavor but you'll get the heat. This recipe was developed using Great Northern Beans, but it can be made with Navy Beans with no change in flavor or even Red Kidney Beans with a very slight change in texture and flavor. This recipe is best if you can use some homemade shrimp stock. I realize not everyone has some in the freezer, so if you want to make some from the shrimp heads and shells, read this. If not, this recipe is still very good with some commercial chicken stock or seafood stock. 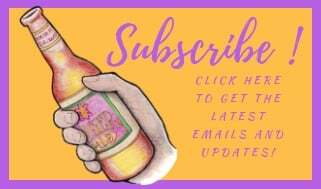 Just click those links and buy some. I recommend not salting your beans until the end. There are a couple of reasons for this and you should check out my article on beans so that you can learn more about it. 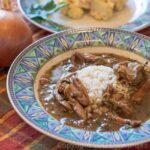 This Turkey Oyster Gumbo is so good, you’ll want to make it even if you don’t have leftover turkey. But if you are looking for something to do with that leftover turkey, don’t miss this opportunity. Oysters just seem a natural partner for turkey, whether its in a holiday stuffing or this delicious gumbo. Try this no-angst recipe from Sweet Daddy D and you’ll see why it has become a Louisiana post-Thanksgiving tradition. This is the perfect way to use your leftover holiday turkey. Oysters and turkey just seem to go together in a wonderful way. Try this and you'll see why it has become a post-Thanksgiving Louisiana tradition! Pull the turkey meat from the leftover turkey carcass, chop into bite size pieces or shred, sprinkle on some creole seasoning and set aside. Measure out the flour and vegetable oil. Mix the Herb and Spice Blend in a small bowl and set that aside. Chop the vegetables and set aside. Chop the garlic and set aside in a small bowl. Drain the oysters in a strainer set over a bowl, but do not rinse. Place this in the fridge until needed. Reserve whatever oyster liquid you have. Place the turkey stock in a stock pot and start heating it on low. Keep it covered and on low so it does not reduce. Place a large cast iron frying pan over medium high heat, add the vegetable oil to the frying pan. When the oil is shimmering whisk in the flour to make a medium roux. As soon as the roux is dark enough add the veggies about half or a third at a time and stir to completely mix the veggies with the roux. Continue to cook over medium high heat, stirring frequently and scrapping the bits off the bottom, careful not to let it burn or scorch. This will take at least 10 to 15 minutes. Add in the garlic and green onions and continue to cook until aromatic, usually a couple of minutes. Mix in about half the spice mix and the 2 bay leaves; a mix well and cook for another five minutes. Turn up the heat on the stock pot and bring the turkey stock to a rolling boil. Using a slotted spoon, mix in the veggie/roux mix, one spoonful at a time, stirring each spoonful until everything is blended and mixed with the stock, making sure it returns to a rolling boil in between each spoonful. Continue this, one spoonful at a time until all the veggie/roux mix has been added to the stock. Bring it to a boil, reduce the heat slightly to a heavy simmer and maintain for about 15 minutes, uncovered. Then lower the heat to a simmer, cover and simmer for 30 minutes. After 30 minutes, uncover and add the turkey pieces a few at a time, stirring them into the stock in a similar fashion as you did the veggies, letting it come back to a rolling boil between each spoonful. Add a little more spice mix, stir well. Turn the heat down to low, cover the pot and simmer for about a 30 minutes, stirring occasionally. Uncover and bring to a heavy boil. Add the oysters, by hand, a few at a time, stirring before adding more. When all the oysters have been added, reduce the heat and simmer for about 15 minutes. Prior to serving, take a spoon and skim off the grease which has floated to the top. Give the gumbo a good stir then taste for seasoning-add a little more of the Herb and Spice Blend or some more salt and black pepper, if needed. 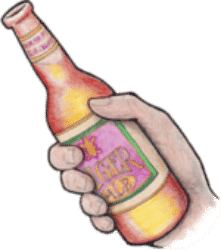 If you want more oyster flavor, add some of the reserved oyster liquid. Remove the bay leaves and serve over rice with some potato salad and crispy french bread. 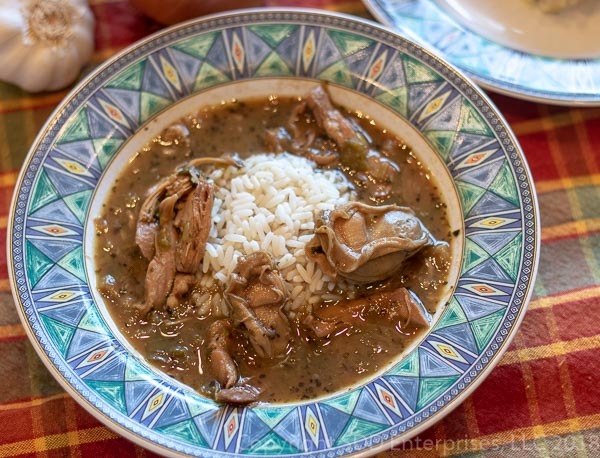 If you have time, making your own turkey stock makes this gumbo really great. Check out my recipe for homemade stock here. If you don't have time to make fresh turkey stock, this recipe is still great if you use commercial turkey stock or substitute chicken stock. If you don't have left over turkey, use some turkey breasts and thighs (about a pound total). Many commercial creole seasoning mixes and commercial stocks contain high levels of salt. Make sure to adjust your added salt according to the creole seasoning. 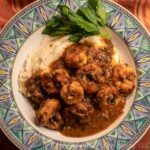 Fresh shrimp, sauteed in a buttery, savory sauce of onions, peppers and garlic, with a touch of tomato paste and creole spices, ladled over creamy, cheesy grits. Heart warming goodness from the South! 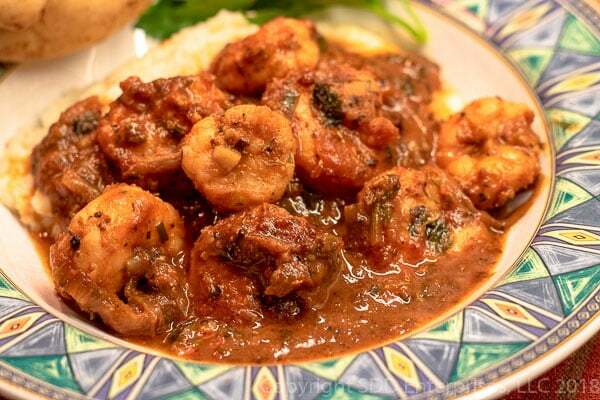 Peel, de-vein and the rinse shrimp; pat dry; sprinkle on 2 tablespoons creole seasoning and set aside. Slice the onions and green peppers and chop the garlic. Measure out all other ingredients. Prepare the grits. Bring 2 cups of water to a heavy boil. Grate cheese and set aside. Add kosher salt and gradually whisk or stir grits into boiling water, stir or whisk until grits are dispersed and not lumpy. Lower the heat to a simmer, cover pot and simmer for about 15 minutes. Get started on the shrimp while these cook. Remove the lid, stir well and taste. If al dente, add the butter and Gruyere cheese. Stir vigorously to combine all ingredients until smooth and creamy. If the grits are a little hard still, leave a low fir on for another 5 minutes. Replace the cover, remove from heat and let sit until the shrimp are ready. Place a large saute pan or cast iron skillet over medium high heat. Melt 4 tablespoons of butter until bubbly. Add garlic, green onions and about ¾ of the Herb and Spice Blend, mix well and continue to sauté until aromatic-about 2 minute. Increase heat to high and add the shrimp; sauté for about 2 minutes, turning over midway through. Add the tomato paste and mix it in very well while continuing to saute another 2 minutes (approximately). If needed, deglaze the pan with a little of the stock before moving on to the next step. Mix in about ½ to ¾ cup of the seafood stock (reserve the remainder), the lemon juice and the Worcestershire. When that's mixed in, add 2 tablespoons of butter. Shake the pan back and forth and continue to simmer as the butter melts and the sauce thickens slightly. Don’t over cook the shrimp, no more than about 5 minutes. Taste a few times to check if it needs more spices, remember the shrimp will soak up some spice so its OK to be a little over spiced at this stage. Add more of the reserved Herb and Spice Blend or stock, if needed. Stir the cheese grits vigorously then place a healthy spoonful in a shallow bowl or plate, spoon the shrimp over the cheese grits and serve immediately. If you are buying head-on shrimp, you'll need to buy about 1 1/4 to 1 1/2 pounds to end up with 1 pound after the shells are removed. If you can't find seafood stock, just substitute chicken stock and it will be just fine. Substitute Quick Grits if you want them done a little quicker! Just follow the directions on the package. Gruyere cheese is creamy when melted and a slightly sharp. Try some sharp or mild cheddar cheese if you prefer, or no cheese at all. I always think its best if you grate your own cheese, but if you are crunched for time, or just prefer, use some pre-grated cheese. Many commercial creole seasonings and stocks contain salt, some have quite a bit. This recipe was developed a stock that contains salt and a creole seasoning that does not contain salt. Whatever you use, make sure you taste while cooking before adding salt so you get it the way you like it.